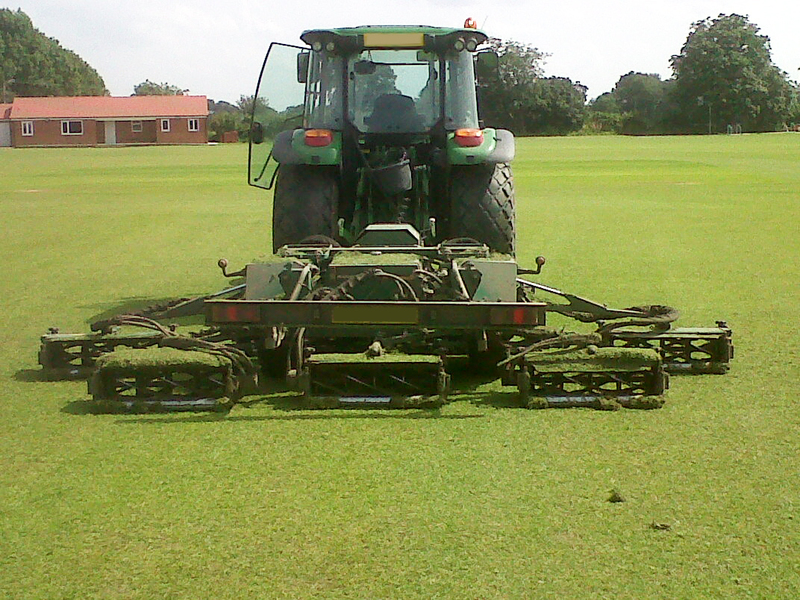 Ensure your sports pitch and recreation fields remain in peak condition by making sure they are cut using correctly set and opperated cylinder gang mowers as apposed to rotary mowers. A cylinder mower will leave a fine even cut accross the surface of a sports pitch, and with a regular cutting regime built around your requirements we can ensure that the turf remains in perfect condition. We opperate multiple tractor trailed cylinder gang mowers so you can be sure that a machine is readily available to cut the grass on your site when needed and during the heavy growing seasons.